MSI has presented two new Intel B150-based motherboards for Intel Skylake processors. 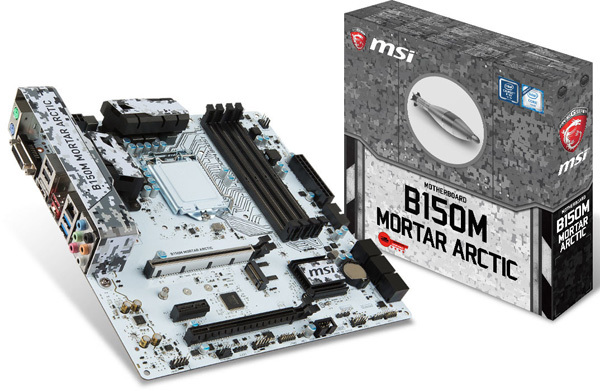 The boards are called B150M Mortar Arctic and B150M Bazooka Plus and come with minor feature changes compared to other B150 motherboards from the MSI product list. 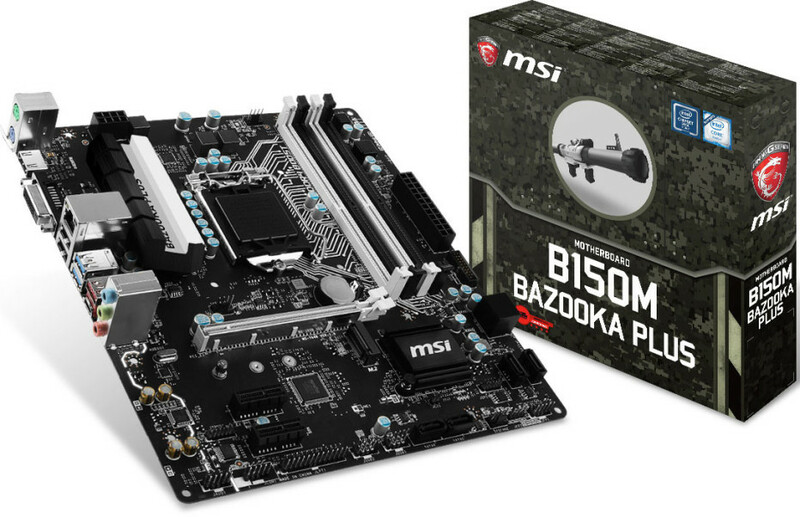 The MSI B150M Bazooka Plus is almost identical to the MSI B150M Bazooka motherboard but the former comes with a M.2 slot, instead of the SATA Express connector seen in the B150M Bazooka. The Bazooka Plus model now also adds one USB Type-C connector as well. The B150M Mortar Arctic features a stronger heatsink, black and white colors and upgraded specs that now include Steel Armor, Turbo M.2 and a USB 3.1 Gen1 Type-C port. The B150M Mortar Arctic loses one of the two PCI-E x1 slots and the SATA Express port, seen in the regular B150M Mortar board but adds a front serial port and an M.2 port over a PCI-E 3.0 x4 connection that now supports solid-state drives. Apart from this these two motherboards come with four DDR4 memory slots, PCI-E 3.0 x16 slots for video cards, PCI-E 3.0 x1 slots for peripheral devices and various connectivity options in the back. They also feature designs that are suitable for high clock speed processors and protection against overvoltage and overcurrent that may damage the hardware of the motherboard. The boards also use Nippon Chemi-Con capacitors for better reliability.